BELIZE CITY, Wed. Apr. 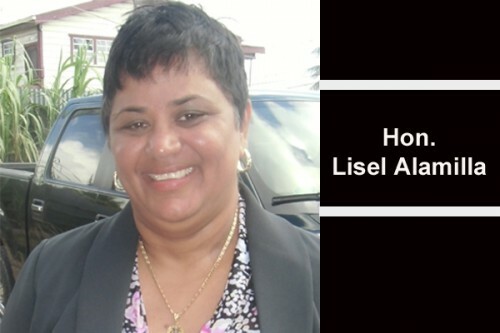 29, 2015–Prime Minister Dean Barrow announced at a press conference today that he will appoint Senator Lisel Alamilla, Minister of Forestry and Fisheries, to chair a new secretariat that is to be established under her ministry to lead the way forward in giving effect to a recently formulated consent order from the Caribbean Court of Justice (CCJ), affirming Maya land rights in Toledo. While the Maya continue to maintain their stance that those rights emanate from their indigenous heritage, Barrow argues that the title is not indigenous, and that the Government only agreed to the terms of the consent order on the understanding that the land rights exist on the basis of human rights. He said that he would take a proposal to Cabinet next Tuesday to have the new secretariat established under Alamilla’s ministry. When Alamilla was first installed as Minister in 2012, she had also been given the portfolio for indigenous peoples; however, Maya leaders objected to her appointment – which Barrow later retracted. He recalled this today, but insisted that Alamilla can get the job done and that she is from Toledo. Alamilla is also to lead the way forward in the national consultative process. 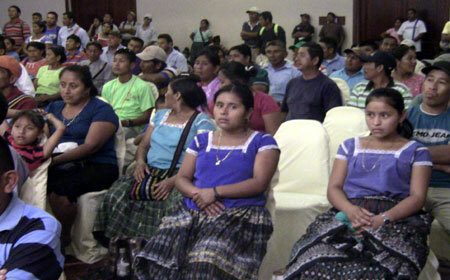 Barrow also said that not all Mayans agree with those who brought the claim against the Government of Belize. He said that Maya residents of Toledo would be able to apply for the type of title they require: whether communal or individual. He also spoke of new legislation, similar to legislation in Australia and Guyana, which would be introduced to give effect to the CCJ order. There have been questions as to what the CCJ order means for the current state of affairs in Toledo, particularly where other persons may hold land documents, contracts, etc. with the Government of Belize in areas which the Maya claimants deem to be their ancestral lands. Barrow said that Government has not ceded sovereignty and he does not want to talk about excluding other Belizeans from the villages, and there is nothing in the CCJ consent order that permits this. Barrow said that the CCJ order cannot serve to dispossess somebody who already has title in those villages. He said, though, that the order serves only to freeze any further dealings with those lands. The only point on which the Government and the Maya could not reach a settlement was the question of damages claimed by the Maya communities against the Government of Belize – a claim which is in the region of $1.5 million, based on comparative cases heard by the Inter-American Commission on Human Rights. Barrow contended that the Maya claim for damages is not, to his mind, a claim rooted in law. “When will I give to the Garifuna Council damages? When will I give the Kriol organization damages? We are all historically oppressed people in this country, you know!” Barrow said, adding that the Government has gone as far as it can in reaching an incipient arrangement with the Maya. He said that whereas the judges of the CCJ may have been inclined to be sympathetic by encouraging the Government to concede to payments in the spirit of reconciliation, the Government did not agree. The CCJ’s ruling on this point remains pending. published twice a week, on Tuesdays and Fridays.